Essential Oils: Why They’re Not Essential. I have to be one of the few people in the bath and body manufacturing business who isn’t gushing over essential oils. I bought some last year and on the counter they sit. 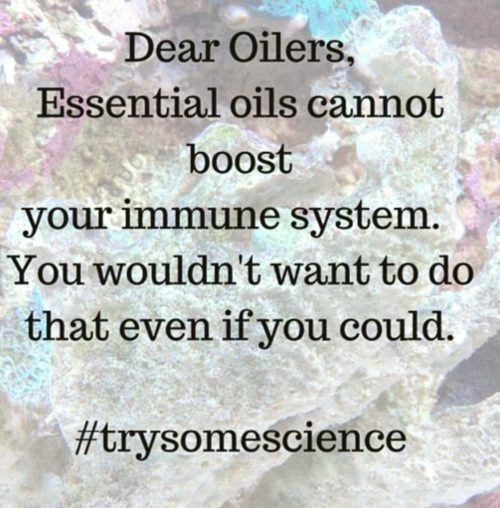 I’m sure if I ordered products made with essential oils from my Indie group, I’d find them lovely. I never cared for the way they smell out of the bottle or “got” what they were supposed to be doing for me. Take me to Narnia? Tickle my limbic system with the life force of the plant? Traverse my blood brain barrier and make me smarter? My snark is probably from practicing evidence-based medicine. I pretty much ignore anything that isn’t steeped in science. It’s the #healthwashing aspect of them that confounds me, and I’ve seen that carried over into cosmetics. You can’t boost your immune system without pharmaceutical intervention for specific disorders under the care of an M.D. Lose that bogus claim. The worship of essential oils has turned into a sort of cult or religion. The MLM companies with their outrageous marketing claims and some slimy snake-oil reps have ruined it for me. It’s the Swiss army knife of “holistic” medicine. The placebo effect seems to be alive and well. It’s disheartening to see good people being so easily taken in by incredulous claims ranging from curing erectile dysfunction to Ebola. It’s smelling more like a cash cow. I find it ironic that modern-day charlatans are promoting thieves oil…. Among the list of all the wonders attributed to EO’s, most of them claim mood enhancement. Fragrance oils can do the same thing. Essential oils don’t own the word aromatherapy. Fragrance oils can make people happy as well. That’s evidenced from the success of the multi-billion dollar fragrance oil industry world-wide. Fragrance can take someone back in time to childhood memories or remind them of events or people that they care about. I buy them without phthalates, and have IFRA guidelines for safe use. If you go here there’s a partial listing of lavender oil chemicals. If those people had a similar list of the trade-secret fragrance chemicals in front of them, I wonder what the hell they’d do with that information? It’s the same crowd of people that won’t put anything they can’t pronounce on their chakra points. But they’ll gladly ingest an essential oil based on what a salesperson told them when the absorption, distribution, metabolism and excretion of these chemicals are unknown. All because it came from a plant and we all know that makes it “speshull”, right? There’s claims of antimicrobial action but at the level it would take, it might be irritating to the skin. On the EU list of allergens that must be declared, I think most of the 26 are from plants. Hand washing with soap, it works. EO’s are all the rage: self-medicating for the worried well until someone gets hurt. I’ve read several injury reports from their use ranging from seizures to esophageal erosion. That’s why we have and need trained aromatherapists! I have no problem with adults indulging in their misters, inhalers, vape sticks etc. Just leave it off the helpless kids and animals who can’t speak for themselves. (Think dogs- with their extraordinary and magnified sense of smell). Ya might be wondering WTF is woo? It’s hard to describe, but I’ll try- because it plays into my world view and the way I approach formulating and selling personal care products by telling it the way it is. Woo is a type of magical thinking; a belief in things that aren’t plausible nor evidence-based. It flies in the face of logic and science. It’s pseudoscience. I read somewhere the definition of woo is that it performs no better than placebo when subjected to a proper scientific trial. It’s the type of non-sense that one might attribute to lunatics- thus the word “woonatics” is often used to describe these people. 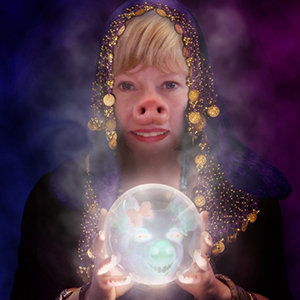 Many of us (in the skeptical closet) are amused by what “woonatics” post in public forums. It makes for bizarre entertainment. It’s sort of like staring at an accident scene. You know you shouldn’t look, but you can’t help yourself. Some of it is funny, but some woo can have tragic consequences when innocent people forego mainstream medical treatment and buy into woo. Hair-brained treatments forced upon innocent children (such as bleach enemas to cure autism) pisses me off the most, followed by cancer woo (using baking soda, black salve, or frankincense essential oil for example). Woo has crept into the cosmetic industry, especially with the current worship of essential oils. I’ll talk more about that later. But for now, you’ve dipped your toes into the concept of woo-fuckery. Remember, beliefs are not facts.